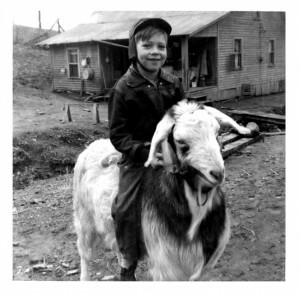 U.S. Hemp Soap: Behind Arlin and his goat Billy is the very spot where his great granny and granny made soap for his family. He took that soap to the creek to bathe as a boy. This Tennessee tobacco farm north of Nashville is where Arlin started farming, singing, picking the guitar, riding goats and making soap at an early age. People have always said that Arlin was “different” you can’t say he was dirty. He valued his spiritual and physical research more than the laws, borders and boundaries of this nation. Arlin was growing Cambodian Red in the backyard and making hash oil in his mom’s kitchen in the 1960’s. His curiosity carried him to Columbia to commune with combinations of cannabis, and other amazing indigenous flora and fauna in the early 1970’s. Arlin had his first Drug War defeat with the DEA in 1974. After his release from Terminal Island Federal Prison in 1978 he returned to his home on the southern edge of the Superstition Mountain Wilderness in Arizona. He involved himself in a project to “Save the Whales”. What does one of the driest, hottest, regions in Arizona have to do with whales? Jojoba bushes! Jojoba seed oil is a far superior substitute for whale oil that created a lucrative and humane alternative to killing whales. Jojoba was rare and exclusive to this area and it was used and traded as a precious commodity by the indigenous people of this region. Arlin was one of the first people that ever acquired permits from the U.S. Forest Service and paid fees to harvest jojoba seeds. He hired and camped in the desert with some of the most rugged individuals in the Sonora. They helped him pick, shell, grade and weigh these rare and exotic seeds. Arlin sold tons of jojoba seeds for exportation to some of the most arid and desolate regions of the world for commercial cultivation. Now jojoba oil is world famous, incredibly expensive and deemed a precious commodity in the international cosmetics racket. Like Cannabis, Jojoba was a missed opportunity and lost industry for the southwest. However, Arlin did meet a man back then that was cold pressing jojoba oil from the seeds here in Arizona. They shared an obsession for quality and they still do. Arlin was able to trade his seeds for enough pure jojoba oil to do a lot of personal research back then. He put jojoba oil in the crankcase of his hotrods and trucks and he put it on his salads. He roasted the seeds and ate them (similar to a coffee bean). He mixed jojoba oil with aloe and cannabis from his farm and he bathed in it and conditioned his skin with it. Arlin’s family and friends have been using these fine oils on their skin for decades now. Arlin says the proof is not in the pudding, it’s in the high school reunion. Arlin knew that the combination of cannabis and jojoba would change skin forever. Our soap contains much more than a few precious drops of fine oil to legally use the ingredient on the wrapper. This soap is extravagant, generous and natural. Arlin can’t stand artificial smells, fake colors or pools of corporate petroleum on his skin. Harvesting jojoba seeds and smuggling cannabis in the Arizona desert is just one chapter in the Life Story of U.S. Hemp. But we are not selling books, songs or goats right now. We want you to try something that we think will be good for you and some deserving folks in the southwest. This is the land of blistering sun, dry skin, pure water and precious oils. Our soap is handmade and naturally cured for quality and longevity without artificial fillers, colors, odors or animal products. Soap is a dirty business and it pays to read the ingredients. These soaps are handmade in batches of only 144 bars. This helps control quality and environmental impact but it also gives us an opportunity to spread the soap and hope where it is deserved, needed and appreciated most. The generous combination of cannabis oil, jojoba oil and other fine ingredients make our soap unique.